Architect Elizabeth Hirsh Fleisher designed a dynamic, midcentury modern pavilion in South Philadelphia that’s now under threat of demolition as the city gets ready to renovate the surrounding park. Inga Saffron, the architecture critic of the Philadelphia Inquirer, called out the building’s potential destruction last week in an article about its importance in the city’s cultural preservation landscape. She noted the pavilion’s likeness to the LOVE Park Welcome Center, the beloved “flying saucer” that’s currently under restoration with plans to become a restaurant this spring. Both circular structures were opened in 1960, Saffron noted, along with a wave of round buildings that shaped the country’s design style of that decade. Though the small pavilion doesn’t sit directly in downtown Philadephia (it’s in Columbus Square) and wasn’t the most iconic building in Hirsh Fleisher’s portfolio, it’s still a symbol of her enduring legacy in a place that’s overwhelmingly built by men. From Anne Tyng to Harriet Pattison, Georgina Pope Yeatman, Denise Scott Brown, and Minerva Parker Nichols, the list of female architects in Philadelphia isn’t very long, but the projects they backed in the city are memorable. At the helm of some of the city’s most impressive 20th-century projects was Hirsh Fleisher, Philadelphia’s first female licensed architect. 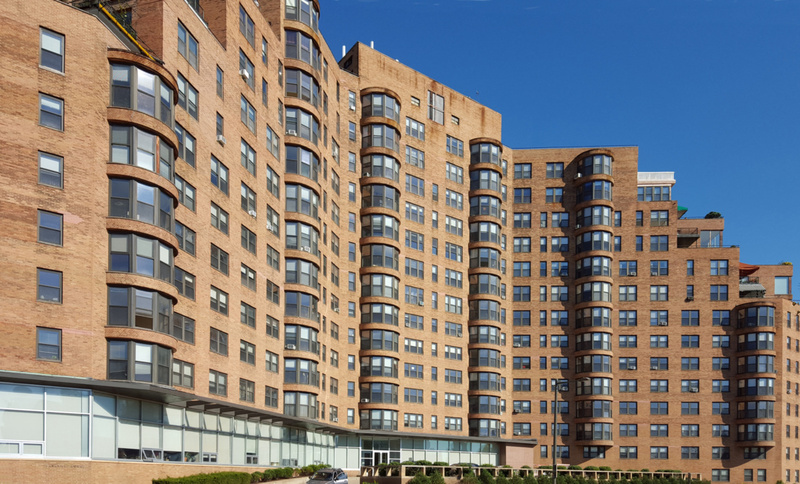 She was responsible for the Parkway House, a postwar luxury apartment complex that she designed with her partner, Gabriel Roth, in 1953. Situated alongside Century Park near the Rodin Museum, the 14-story megaproject features a distinct mountain shape. It’s been there so long it’s nearly synonymous with that area of downtown Philadelphia. Though the Columbus Square pavilion is minuscule in comparison to Parkway House, Saffron argued the 35-foot-wide park structure could live a second life as a yoga studio or café. The city plans to remove it and expand the adjacent dog park in its place. What’s just as pressing as the little building’s demolition is the fact it could potentially be the second project by Hirsh Fleisher to see the wrecking ball. In 2014, her Queen Lane Apartments, a post-war public housing project, was demolished by the Philadelphia Housing Authority to make way for a series of low-lying affordable housing units. That building started suffering serious structural problems only decades after its completion, but the Columbus Square pavilion is forcefully sound; it’s largely built from stone. In a time where projects by prominent female architects are more appreciated than ever, there’s much attention being paid to those that are being taken down by redevelopment and in some cases, capitalism. Last month, JP Morgan Chase filed for the demolition of its headquarters in New York, the Natalie Griffin de Blois–designed Union Carbide Building. The site, 270 Park Avenue, will feature a replacement structure by Foster + Partners. Bringing down Griffin de Blois’s 52-story Manhattan tower—whether you believe it should live on or not—distinctly diminishes the already-small footprint that female architects made on New York during the 1900s. Getting rid of Hirsh Fleisher’s tiny building would do the same in Philadelphia. Luckily, today there is a slew of women-powered practices that are following in her footsteps, such as OLIN, the landscape studio, as well as KSS Architects, a multidisciplinary firm also based out of Princeton, New Jersey. While many Philadelphia firms have significantly more men in leadership positions compared to women, the women are there. Award-winning practice Interface Studio Architects (ISA), along with DIGSAU, EwingCole, and KieranTimberlake have women in top-ranking positions or more women than men on staff. As the sole founder and president of Bortolotto, a design and architecture firm in Toronto, I have had my fair share of gender-based discrimination throughout my career. On this International Women’s Day, I find myself reflecting on the 20-year journey as a female-led firm and the implications it has for the female architects of today. From learning how to be heard in the boardroom to mastering project bids and networking in a room full of men, there are skills that I’ve had to hone on a steep learning curve of condescending comments and awkward conversations starting at the beginning of my career. My hope is that the women navigating the architecture industry in 2019 are able to take the work of their forerunners and leverage those advances to their benefit and success today. The truth is that women are natural leaders and are necessary to every senior management team, but the statistics make motivating female entrepreneurs difficult: A study by Dezeen found that women occupy just 10 percent of the highest-ranking jobs at the world's leading architecture firms, while 16 firms have no women at all in senior positions. The study also showed that the percentage of women decreases steadily at each ascending tier of management. Only 3 of the top 100 architecture firms are headed by a woman while just 10 percent of the very highest leadership positions are held by women. These numbers ultimately mean that women are desperately underrepresented and that the architecture we see around us is built by men, for men. That being said, women make up 50 percent of the population and 47 percent of the workforce. Women are entrepreneurs, consumers, mothers, employees, and leaders—all types of women need to be represented at a table full of decision-makers and at all management levels. When it comes to boardrooms specifically, women tend to be at a disadvantage. With women being so much in the minority, it can feel discouraging and impossible to make an impact at the table when looking around. From my experience in the male-dominated architecture industry and in boardrooms outnumbered by men, our work and experience are highly valued—although that may not seem the case at first. Your peers will listen to you when you make yourself heard. Here are some tips for getting recognized: State your views clearly When you are outnumbered in a meeting and others are dominating the conversation, it can be difficult to get your thoughts and ideas in. Oftentimes, fears of looking foolish or being ridiculed stop us from saying what needs to be said. My top advice is to not be afraid to be firm in expressing your opinion. Your knowledge is essential to the conversation, so when you feel it is appropriate to add value, jump right in, speaking clearly and remaining firm behind your views. 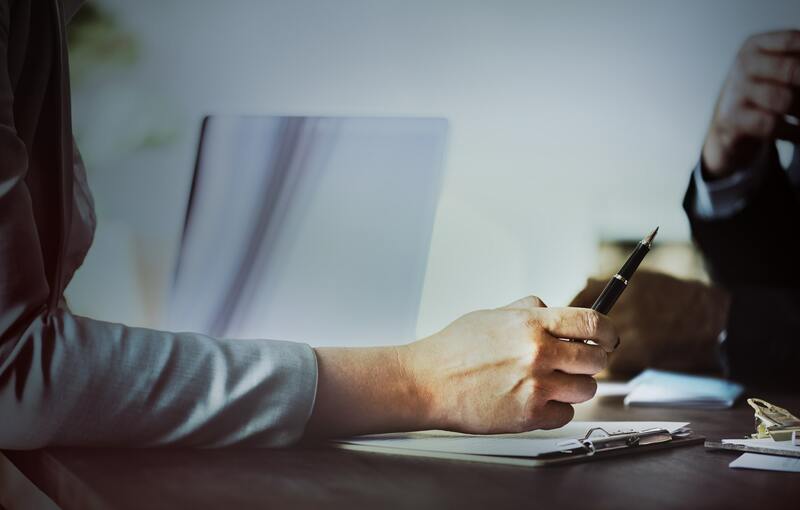 Create a presence and be confident Women report feeling less confident because they believe that they have only been appointed to a boardroom to fill a “women quota,” and not because they have expertise and add value. Rather than doubting ourselves, women should march into meetings with confidence in their knowledge and experience, ready to bring to the table everything they have to offer. Rather than sinking into the background, embrace your presence and join the conversation confidently. Bring your perspective to the table and stay true to your values As an architect, I often come at challenges from a design perspective, which requires a mind that not only thinks outside the box, but also can be eccentric, without conforming to the rules. Sometimes it’s easier to agree with the majority than voice your own contradictory opinion, but this is not how policies change or how great ideas come to light. A major reason for gender diversity is to ensure a balanced insight is brought to the table. But it’s not enough to just bring a “woman’s perspective;” rather, your specific knowledge and expertise is as valuable as your peers’ and is an important part of the discussion. Give credit and take credit Giving everyone who deserves credit for their work is part of being a supportive leader and a way to showcase that success is a collaborative effort. That also means learning to take credit and acknowledging your success when appropriate. Demonstrating that women are equal partners is essential for earning deserved respect. Change is on the horizon and it starts here today, with you. Insisting on an equal number of women in leadership roles is the start to true gender equality in the workplace, but ensuring our voices are heard on every platform—whether working at a construction site, in a boardroom, or on a team for a client—is the spark that starts the flame. Tania Bortolotto is the founder of Bortolotto, a Toronto-based architecture firm. Irish architect Sheila O’Donnell has claimed the top honor at this year’s Women in Architecture (WIA) awards, an annual prize hosted by Architects' Journal and The Architectural Review. Named Architect of the Year 2019, O’Donnell heads up the 31-year-old practice O’Donnell + Tuomey alongside partner John Tuomey. O’Donnell is being recognized specifically for her firm’s 2016 renovation and expansion of the Central European University in Budapest. The project is part of a multi-phase, campus-wide masterplan to connect and consolidate the institution’s physical footprint, which sits on a World Heritage site, while dually elevating its design with a 21st-century scheme. O’Donnell + Tuomey created a 376,700-square-foot vision that seamlessly linked the historic structures on the urban campus, all of which were previously disconnected from one another and included individual entrances. The design team also added two new contemporary buildings that became the public face of the school. One of those new buildings now serves as the main entrance to the university. Housing a giant, light-filled library and learning commons over a multi-purpose auditorium, it features warm yet bright minimalist materials that allow the structure to stand in contrast to the surrounding ornamented, sandstone buildings. The new construction boasts a geometric facade framed with local limestone and steel, two materials that are also used within the building, alongside slatted timber and concrete. Bespoke furniture featuring similar, natural-looking products dot the public spaces inside. The result of O’Donnell + Tuomey’s intervention is a university center that’s not only easier to navigate, but also an institution that’s stitched more thoughtfully into the urban fabric of central Budapest. The new structures add a modern feel to the historic site, thanks in part to the inclusion of a dramatic, pitched glass roof that hovers over the library and provides ample light, as well as a series of red-coated metal stairs. The highly sustainable structures also feature landscaped roof gardens that reduce heat gain and give views of the city’s downtown skyline. Courtyards in between the buildings also provide natural ventilation and respite for those indoors. 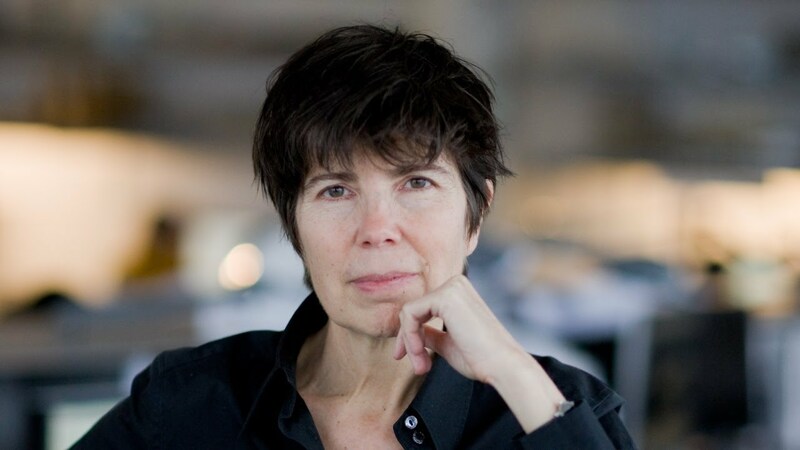 The Women in Architecture Awards jury said O’Donnell exhibited a clear passion for constructing an improved physical environment for the university that resulted in a high-quality building people can admire. “She is a role model for young women in architecture,” the jury announced in a statement. “Sheila O’Donnell did not have to break the glass ceiling—she and John Tuomey created a new reality.” As of early December, the university announced it will be moving its operations to its sister site, a facility in Vienna, in the near future. It’s unclear how O’Donnell + Tuomey’s update to the school’s Budapest location will be used once classes cease. 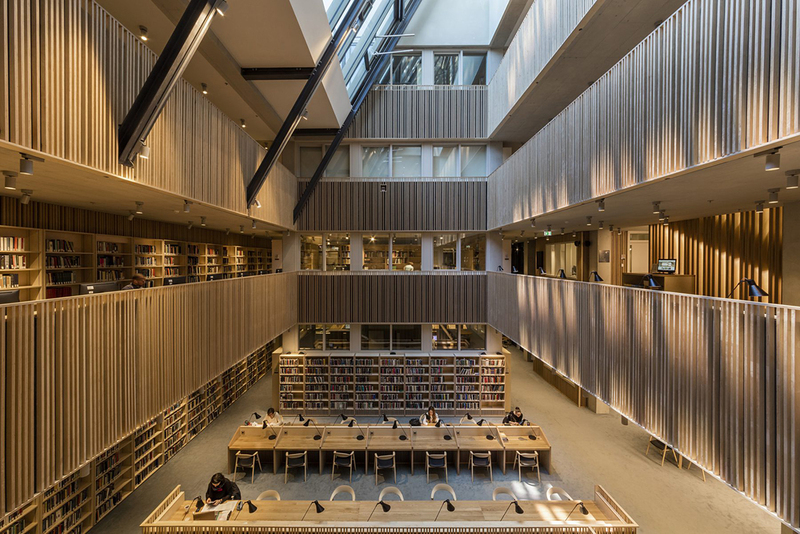 Other finalists for WIA Architect of the Year 2019 included Ellen van Loon of OMA, noted for the Quater National Library in Doha; Eva Prats of Flores & Prats for the Casal Balaguer Cultural Centre in Palma de Mallorca; and Carme Pigem of RCR Arquitectes for the De Krook Library in Ghent. Beijing-based architect Xu Tiantian, founder of the firm DnA (Design and Architecture), was also awarded the Moira Gemmill Prize for Emerging Architecture at this year’s ceremony. 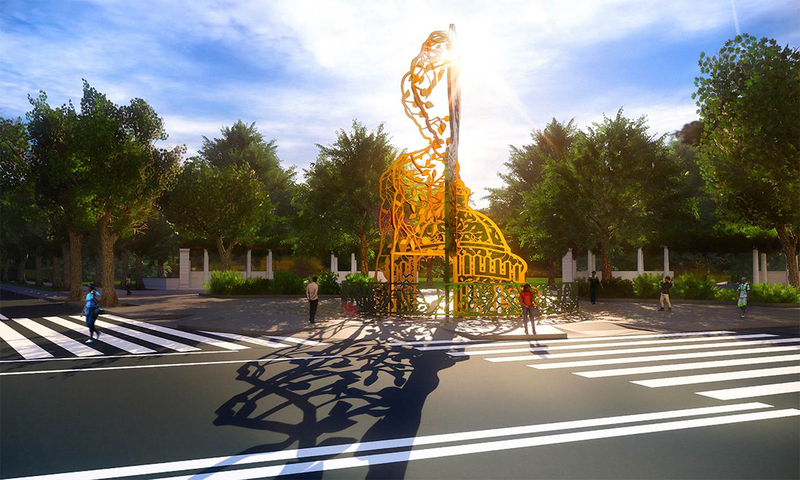 The honor, which goes to a woman designer under 45 years old, was presented to Xu for her body of work, which includes the Hakka Indenture Museum, a tofu factory, and the Wang Jing Memorial Hall, among others. Carme Pigem, co-founder of RCR Arquitectes, for De Krook Library in Ghent, Belgium, by RCR Arquitectes and Coussée & Goris Architecten. The judging panel will convene at the March 1 AJ/AR Women in Architecture Luncheon at the Savoy in London to announce the winners in full. 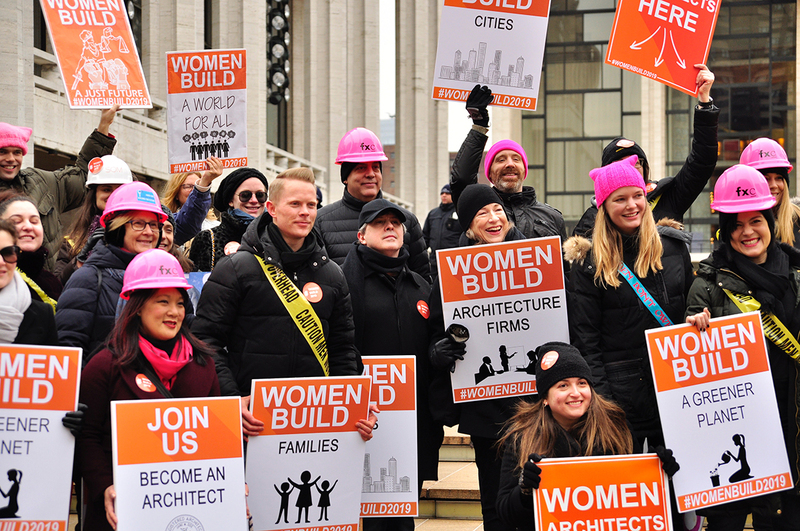 Last Saturday, over 80 architects, engineers, and construction professionals gathered to raise awareness on women's contributions to the AEC industry at the Women’s March on NYC. Sporting neon pink hard hats and bright orange signs that read, Women BUILD, the group’s message was loud and clear. Over a dozen organizations were represented; teams came from Thornton Tomasetti, Perkins Eastman, Marvel Architects, FXCollaborative, Silman Engineering, ArchiteXX, BuroHappold, and CannonDesign, among others. The leadership from FXWomen said seeing everyone march in solidarity, from young engineers to managing principals, men and women alike, was encouraging. "The group that represented our industry at the Women’s March showed that gender equity isn’t a 'women’s issue,'" they told AN in an email. "It affects everyone and is supported by a diverse group that reflects the communities we design for." The day’s event was organized by Dattner Women’s Group. The team began reaching out to design-related companies across New York in November to get the conversation started about last weekend's march. At a community meetup last month, the firms came up with the #WomenBUILD2019 campaign and created matching posters that would boost their presence among the crowd. “Women Architects Here” some signs read, and others encouraged youth to “Join Us, Think Big.” Carisima Koenig of the Women's Forum at CannonDesign said throughout the morning her team met other architects not directly affiliated with the Women BUILD cohort who ended up joining alongside them. "We had extra signs, so we distributed them along the march route," she said. "As a group, it made an impact to have a cohesive message and for the city to see we are here." Not only did the city take notice, but children—who marched alongside the Women BUILD group—did too. “At one point during the march, a mother and daughter were pointing to our signs and discussing what kinds of jobs the different icons represented," said Dattner's Rebecca McCarthy. "That was a really special moment. I hope that young people who saw our group will feel they can grow up to be whatever they want to be, and that we demonstrated that’s really possible.” Employees from other firms at the march issued similar sentiments about the group's influence and what the future of the industry could look like if people continue to take a stand against the problems that have long plagued architecture. They believed their shared presence together, not as competitors but as proponents of an equal society, only amplified some of the recent discussions that have come online as a result of the #MeToo movement. 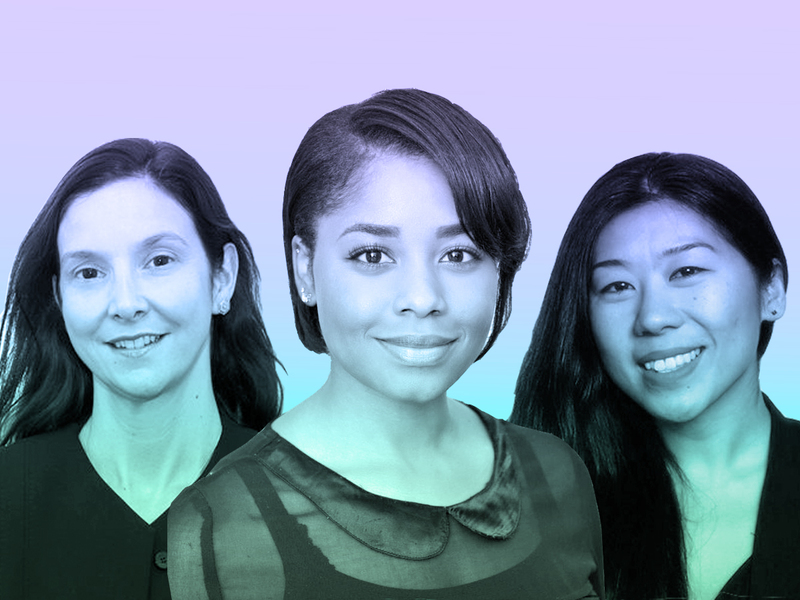 "We want everyone considering a career in architecture, engineering, and construction to know that the industry has a place for them," said FXWomen. "We're waiting for them and transforming this profession into one that is worthy of their talents." A throng of local architects, both men and women, will gather wearing pink hard hats and caution tape sashes at this Saturday’s Women’s March on NYC in an effort to raise awareness on the various roles women lead in the architecture, engineering, and construction industries. Organized by Dattner Architects’ Women’s Group, firms across the city are slated to show up in support for what’s dubbed as the “Women BUILD” campaign. Emily Kotsaftis, an associate architect at Dattner, is helping spearhead the event alongside her colleagues Heather McKinstry, a studio resource leader, and Rebecca McCarthy, an architectural designer. When Kotsaftis started the in-house, grassroots group at the end of 2017, she felt a pressing need to begin a conversation on the different ways women were represented within her own office in light of the then-budding media coverage surrounding gender bias and women in the workplace. “We’ve mostly been a discussion group up until now with our first meeting held in February,” she said. “As a large firm, we have a strong representation of women at every level. We’ve been focused on establishing our group within the office, but we’re now looking to mobilize a larger community. The effort around the Women’s March has been really eye-opening because we’re connecting the community of women citywide.” The Dattner Women’s Group, led by Kotsaftis and Mary Beth Lardaro, the studio's human resources director, also includes men within the firm. Theirs is just one of several similar organizations found at AEC companies in New York. Kostaftis said other more-established groups at FXCollaborative, Thornton Tomasetti, and Arup, for example, have helped provide inspiration to her and her colleagues. 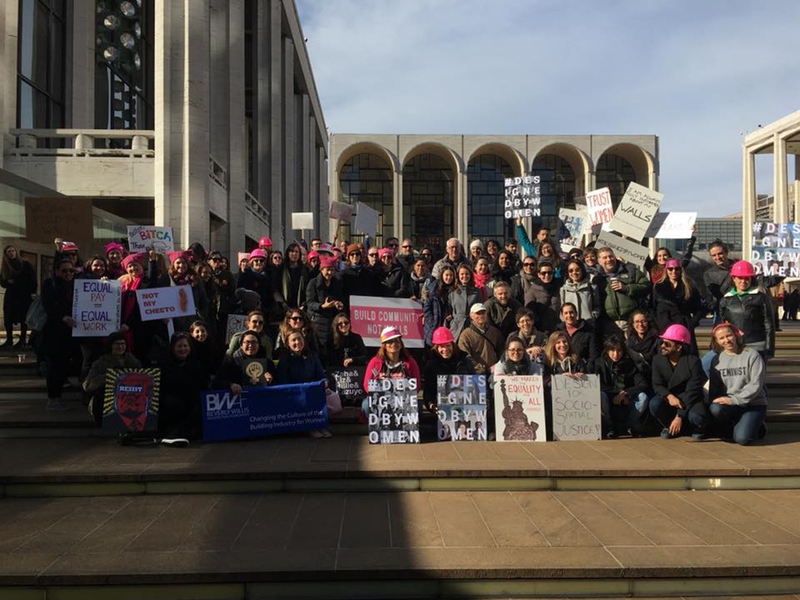 Last year, Dattner organized a coalition of architects for the Women’s March NYC 2018, which attracted over 70 people from studios such as Handel Architects and BuroHappold Engineering, as well as representatives from the Beverly Willis Architecture Foundation. “Since late 2017, we’ve been thinking about Dattner and how our women’s group operates here,” said Kotsaftis. “Of course, I wanted to communicate with other women’s groups in order to learn about what they were doing, but now we want to become even more far-reaching to include men and women who share this interest across the city. I’m trying not to limit my thinking to my office alone." This year’s “Women BUILD” theme was birthed through a December meeting of women’s group's leaders from CannonDesign, SOM, Howard L. Zimmerman Architects, Marvel Architects, and Perkins Eastman, among others. According to McKinstry, issues such as pay equity, sexual harassment, respect on job sites, and work/life balance led the group to choose a message that communicated the types of responsibilities women take on with their jobs, family, and daily lives as citizens of the world. 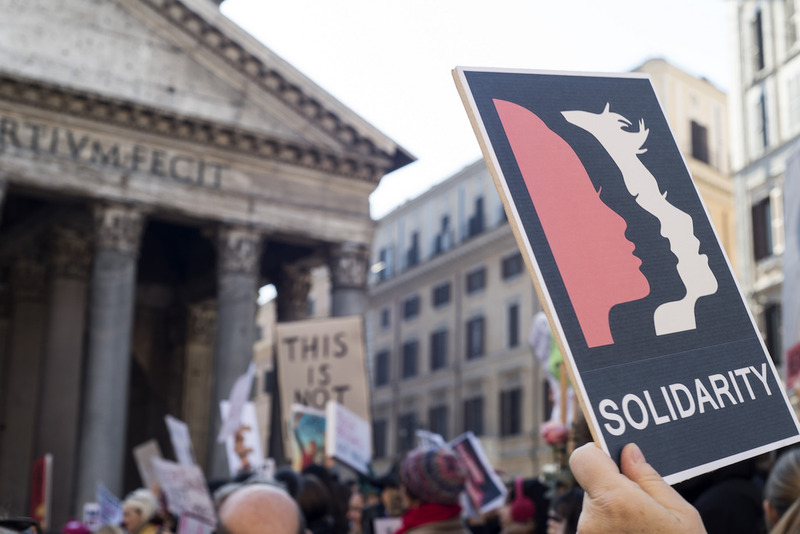 “Women BUILD is a unifying theme both in that it can stand as a sentence on its own,” she said, “or be the start of something else like ‘Women Build Communities,’ or ‘Women Build Skyscrapers.” Designers across various firms have created “Women BUILD” signs to be printed for Saturday’s march and used to extoll their mission. For McCarthy and the women at Dattner, that mission goes beyond the march. She foresees Dattner helping enact real change across New York firms by developing initiatives in tandem with other women’s groups that will address the issues women face at work every day. “The last few years we’ve seen a large focus on awareness,” she said. “We’ve focused on reminding the world and those in the design, engineering, and construction fields that we care about these issues and are here to voice those issues. Now we’re ready and want to do more.” The Women’s March on NYC 2019 is organized by the Women’s March Alliance. To learn more details about Saturday’s meetup with Dattner Architects, visit the Women BUILD Facebook Group. Missed some of this week's architecture news, or our tweets and Facebook posts from the last few days? Don’t sweat it—we’ve gathered the week’s must-read stories right here. Enjoy! Stop asking where all the female architects are; we’re right here Madame Architect editor Julia Gamolina weighs in on the tired, problematic question: Where are all the female architects? Design legend Murray Moss discusses the future of “anti-disciplinarity” The design legend gave two lectures and graduate-level workshops this past semester at the Rhode Island School of Design (RISD). Architects rally behind Doriana Fuksas after prize snub This month two groups started a petition demanding that Doriana Fuksas be included in a lifetime achievement award given to her partner Massimiliano. San Francisco orders historic Neutra home be rebuilt after being torn down After an illegal demolition of one of the five remaining Richard Neutra–designed homes in San Francisco, the homeowner was ordered to build an exact replica. AN will be closed through Wednesday, December 26, but we will see you on Thursday! Dear Amedeo Schiattarella, President of the Istituto Nazionale di Architettura Region Lazio, and Andrea Margaritelli, President of the Istituto Nazionale di Architettura, We are writing on behalf of Doriana Fuksas, as we understand that she was overlooked in the selection process of the Premio alla Carriera Architettura. Doriana and Massimiliano are equal partners. We are calling for equal recognition for equal work. We are a diverse group from around the world. We lead our own firms, are directors of schools, are award-winning architects, journalists, and professors. 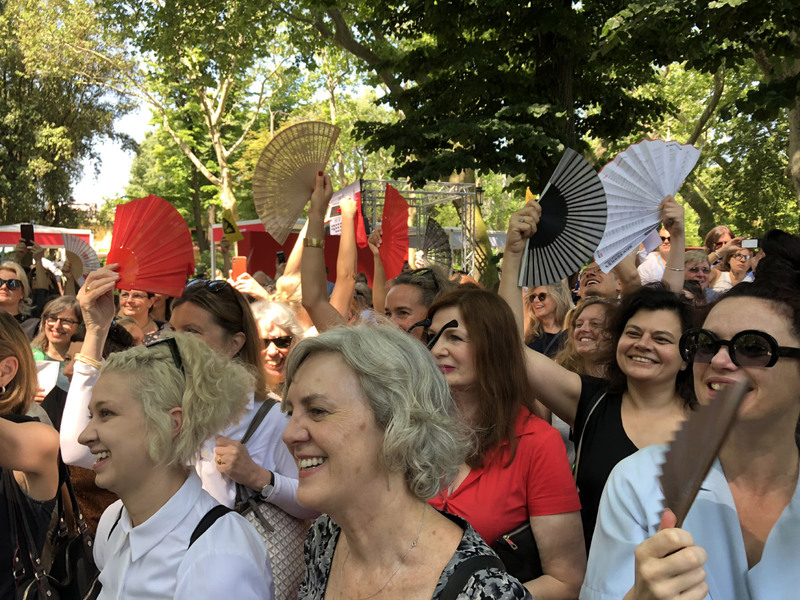 This past May at the Venice Biennale of Architecture, some of us came together as a Flash Mob in the Giardini during the preview days of the Venice Biennale as part of Voices of Women Architects -- VOW Architects. The Flash Mob is a peaceful gathering of individuals asking for a common goal. In this case it’s equal rights and respect for all members of our community. Organizers included Martha Thorne, Louise Braverman, Francesca Perani, Farshid Moussavi, Toshiko Mori, Caroline Bos, Benedetta Tagliabue, Odile Decq, Caroline James and Atxu Amann. We read a manifesto in the Giardini to hundreds of men and women who were there to rally in support towards a change in the Architecture profession. The work continues. 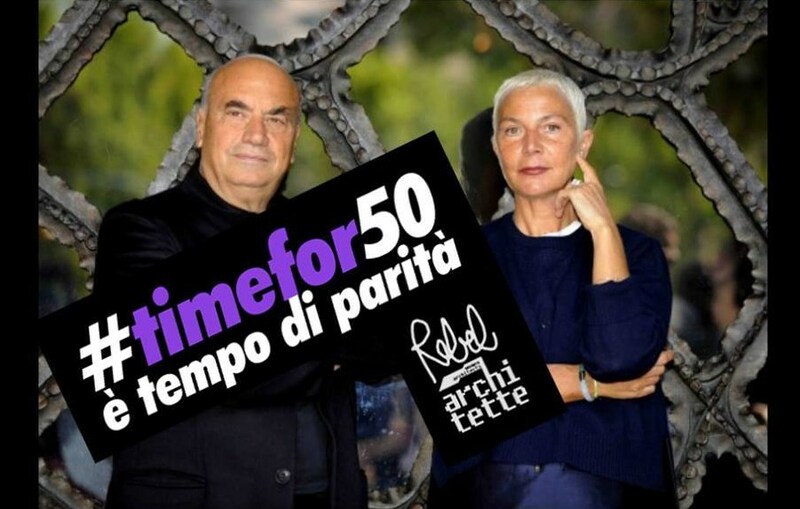 Today, with other groups, we are supporting the initiative of RebelArchitette: "Time for 50" - Time for Equality. We are looking at the United Nations Sustainable Development Goals 2030 for gender equality and empowerment of women and girls. 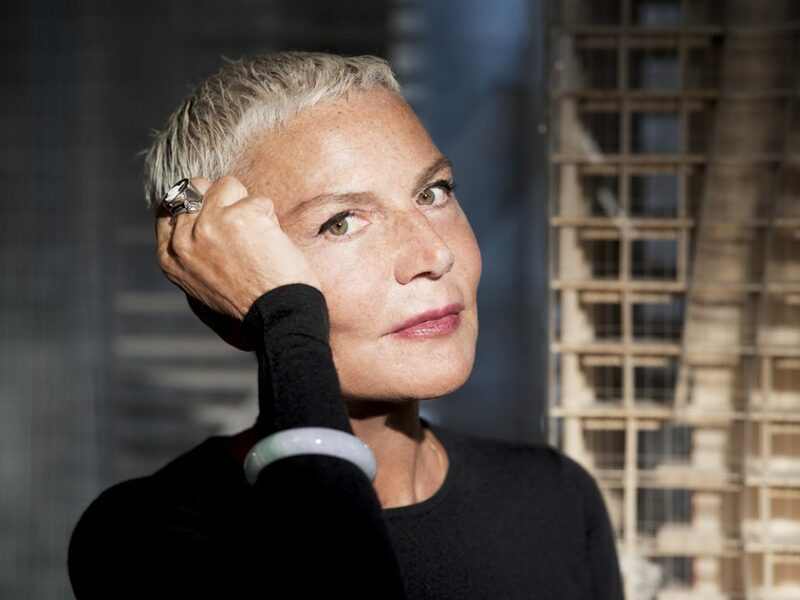 When we read last week in the news that Massimiliano Fuksas has received the Premio alla Carriera Architettura, we were stunned that the prize did not include Doriana Fuksas. Doriana and Massimiliano are equal partners. It's important to correct the record now so that young architects can look up to their incredible work and know the whole story -- that the work is strong because of joint creativity and collaboration. We are signing in solidarity to show our support for the tremendous achievements of Doriana and Massimiliano, and ask that you amend the Premio alla Carriera Architettura now to recognize Doriana and Massimiliano, together. Thank you for your attention to this important matter. Doriana and Massimiliano launched Fuksas in 1985. Recently, the duo worked on the New Milan Trade Fair, a convention center, as well as an eyepopping bi-conical theater and exhibition hall in Tbilisi, Georgia. In the age of #MeToo and growing acknowledgment of entrenched sexism in architecture, the petition stands on the shoulders of recent attempts to dismantle structural barriers women in the field face at all levels. Attention to women's recognition in architecture's stratosphere extends back decades: Architectural Record reported that two of the Fuksa petition organizers, James and Assouline-Lichten, led a campaign to get the Pritzker Architecture Prize jury to give Scott Brown an equal share of the 1991 Pritzker awarded to her late husband and professional partner Robert Venturi. The Architect's Newspaper received a notice from a group of women architects calling for a public action at the Venice Architecture Biennale on May 25. Our reporters will also be on the scene to cover the action. "We are a group of international women (diverse in terms of ages, background and professional roles) who have decided to gather on Friday 25 at 11.00 am in the Giardini in the main walk along the Stirling Pavilion for a flash mob to stand, read a statement about women in architecture, as women in other fields such as cinema or politics have done, because it is important to raise consciousness in our field. We propose that you come on Friday and join us. Please bring a fan with you as a sign and also because of the hot weather!"